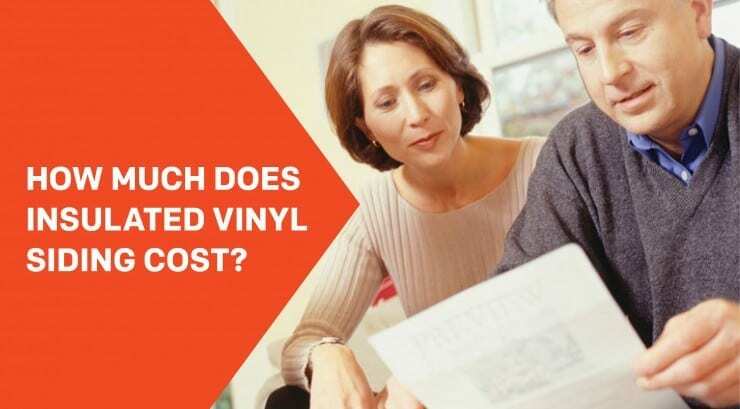 One of the most common questions we receive from homeowners that are shopping for new siding is: How much does insulated vinyl siding cost? This question is very difficult to answer because every home is different, and there are many options for material, profile, color, and brand on the market today. Buying new siding is similar to buying a vehicle; prices can vary drastically based on which options you select. Do you need a car, van, or truck? Do you prefer all-wheel drive, power windows, leather or cloth interior? How about a sunroof, chrome finishes, a backup camera or GPS? Do you prefer a two-door or four-door, maximum gas mileage or more towing capacity? If you’re commuting an hour each direction every day or using your vehicle as a work tool to get the job done, your needs may be drastically different. Standard or premium profiles be used, such as shake, board and batten, etc. Qualifications of the installation company - licensed, bonded, insured? Insulated vinyl siding is typically made with high grade vinyl siding to better protect it from damage, fading, or warping. It is also available in more premium profiles such as double 6” or single 7” and darker, richer colors than traditional vinyl. During the manufacturing of insulated siding, the contoured foam insulation is permanently adhered to vinyl siding, giving it more stability but adding a step in the process. To see this process in action check out this video on Making Insulated Vinyl Siding. 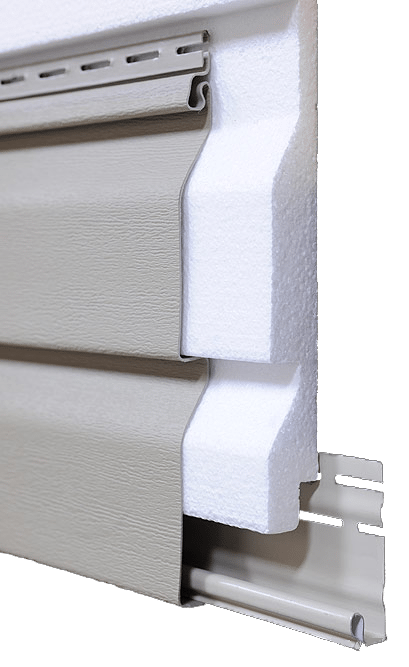 Due to the added thickness of the foam, fewer pieces can fit in a box than traditional siding, making it slightly more expensive to ship to a job. The thickness can also require additional steps during installation. Special accessories and trim work around windows and doors can be required, adding to the cost of the job. The Cost vs. Value report, published by Remodeling Magazine, provides an estimate of how much cost from home improvement projects will be recouped by adding value to the home. The 2017 report shows that a siding replacement recoups 76.4% of the cost, significantly better than a bathroom addition (53.9%), major kitchen remodel (65.3%), roof replacement (68.8%), or even replacing windows (73.9%). Therefore, if your new siding cost $20,000, you could expect to recoup $15,280 dollars in added value to your home, leaving the true cost at $4,720. Insulated vinyl siding will also reduce the heating and cooling costs for your home, helping to pay back the original cost over time. Another benefit of working with a professional contractor to install insulated vinyl siding is that many offering financing options, some with zero or low-interest rates, to help spread out the cost of new siding. With some standard options available to insulated vinyl siding contractors such as Greensky Financing, a $20,000 siding job can be financed for as low as $250/mo. For 120 months. This way you can hold onto your money longer and spread out the expensive of a new siding job over a longer period of time. 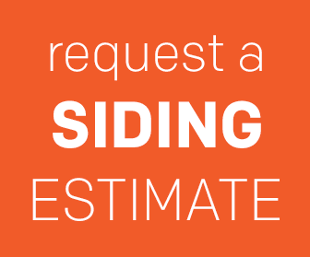 How Much Siding Will Your Project Require? Knowing the estimated cost of siding per square foot is good, but it’s not very useful unless you know how much siding your home will require. Below are some general guidelines to determine the amount of siding you will need. Because every home is different, we recommend always contacting a qualified professional to get accurate measurements. Do not subtract any entry doors or windows, unless it’s a large picture window. You will subtract the area of the garage door if you have one. If a gable is hard to reach, a quick trick is to measure the height of the current siding profile, then multiply by the number of courses on that wall section. The average home requires 1500 - 2500 square feet of siding material. Siding is typically ordered in “squares.” One square of siding is simply 100 square feet of material. Therefore, if you estimate the exterior of the home is 2,000 square feet, it would require 20 squares of siding. A popular accessory piece used to trim out windows, doors, and other openings on the wall. J-channel provides a pocket for the insulated vinyl siding to slide into for a finished look. Installed at the all exterior corners of the house, corner posts also feature a pocket for the siding panel to slide into. 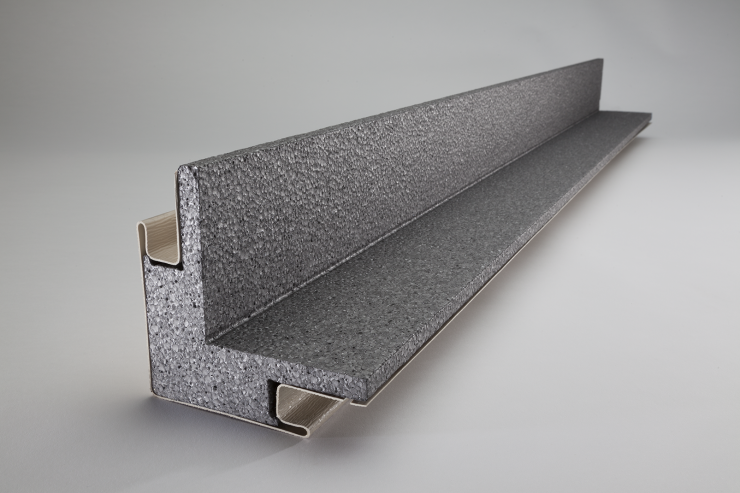 Corner posts can be a little difficult for novice installers to install perfectly, so we recommend always using an insulated corner post insert - these snap in to the vinyl corner post to provide rigidity and protection from impact damage, and also complete the blanket of insulation around the home. Inside corner posts are used anywhere two corners come together to form an inverted 90 degree angle, such as under a porch covering. These posts provide a clean pocket for the siding to slide into. Insulated vinyl siding panels lock together as they are installed up the wall, but the first panel requires a starter strip to kick things off. Contractors will snap a chalk line to ensure the starter strip is straight, then the first panel of siding will be locked in before being nailed to the wall. To get an accurate cost of insulated vinyl siding for your project, it’s critical that you contact a qualified professional who can show you the best options for your particular home. 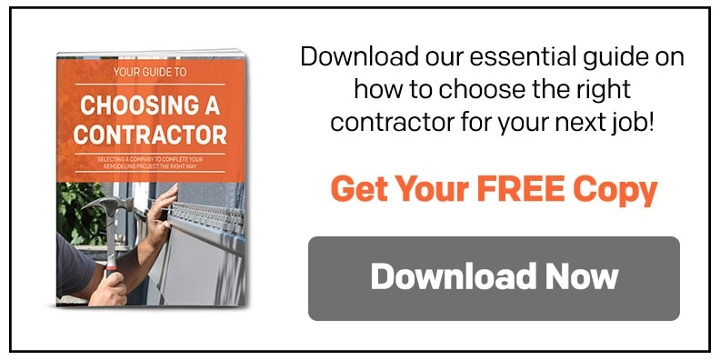 Be wary of contractors who present you with an insanely low price - they may be cutting corners or leaving out critical components that could cost you more money once the job is done.